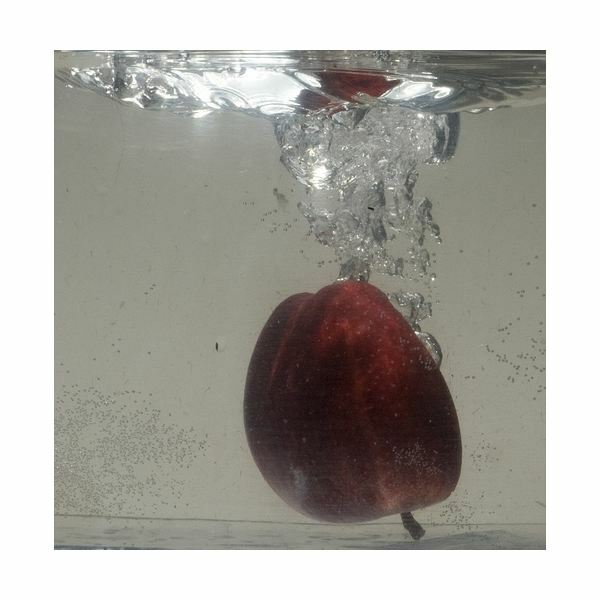 Fruit splashing into water makes for some cool shots. Actually learning how to photograph fruit dropped in water takes a little skill and requires a lot of quick shots, technique and sometimes a little luck. But, you can make your own luck if you follow some simple suggestions, and you take a bunch of practice shots. 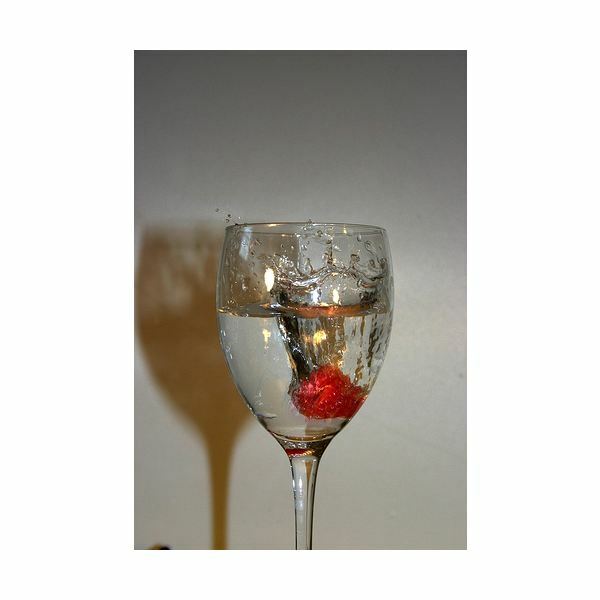 So, here are some tips on how to photograph fruit dropped in water. First of all, you need to use a completely see-through vat of water. Fish tanks work really well, and you can add your own solid background for better effects. Use tall containers so that the water does not splash out of the tank and onto your camera. If you want to photograph a bright-colored fruit like a strawberry or watermelon, try a dark blue background. A solid color won’t distract from the item, and it may even assist in bringing out the colors. Use carbonated water. It will create more bubbles when the fruit hits it. Try using natural lighting like sunlight, or place photography lights all around the tank. To create additional lighting, place aluminum foil under the tank so that it will reflect light up from the bottom onto the fruit. If the worse does happen and you accidentally get water on your camera, read I Got Water on My Camera! What Should I Do? for some tips which will hopefully help save your camera. Don’t use a flash. You’re going to be shooting through glass, which means that you will get a reflection. If you’re not getting enough light, try using a strobe. Always use a tripod. You will be capturing fast-moving objects, which increases the chances of creating blurred shots even with any type of camera stabilization. Position your tripod so that it aligns with the center of the tank. You may even want to position your camera lower down so that it’s almost looking up towards the water line. You will get a more dramatic shot and more of the water splashing upwards. Ensure that your camera is focused on what’s inside the tank as opposed to the exterior of the tank. Play around with your manual focus if you have to. If that doesn’t work, try zooming into the interior of the tank so that your lens focuses past the glass. Drop the fruit a couple of times to see how far it drops down. This will allow you to see how far the fruit drops into the water. Set you camera to the highest shutter speed that your camera has. These are fast-moving shots, and you don’t want your camera to lag behind the fruit. Now, it’s time to take some pictures. Drop the fruit into the tank. If possible, have someone else drop the fruit so that you can release the shutter at the correct moment. If not, place your camera on the continuous shooting mode, and just hold it down while you drop your fruit. This will take some preparation to get this right. The best tip when learning how to photograph fruit dropped in water is to practice often. Each piece of fruit is going to have different buoyancy and drop speeds. Some will create a higher splash than others.